Our favorite gluten free pizza has a soft and crispy crust. 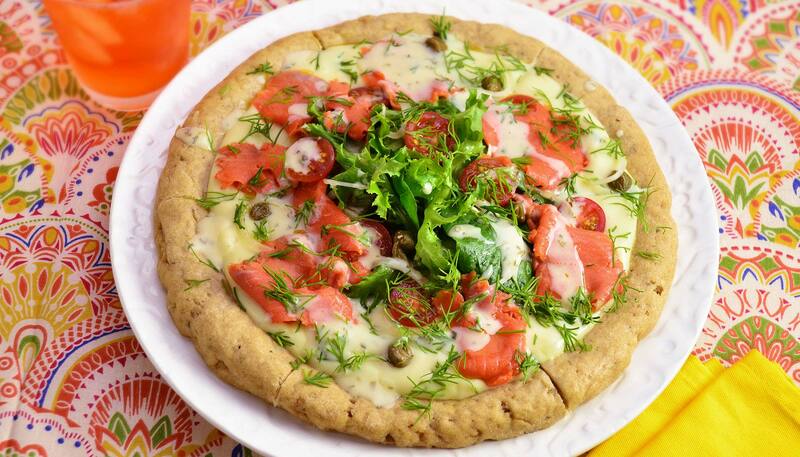 Topped with tasty smoked salmon salad, this is a tasteful combination of gluten free salad and pizza! Pizza dough in general does not keep well, and we recommend you use all of it at once. Double the topping ingredients to make two pizza. In a large bowl, mix the flour ingredients (brown rice flour, teff flour, tapioca flour, corn starch, xanthan gum and baking powder) well with a whisk. Make sure the kneading blade(s) are properly attached and add the liquid ingredients (water, olive oil and honey) to the baking pan. Add the flour mixture from step 1, salt, garlic powder and dried oregano to the baking pan. 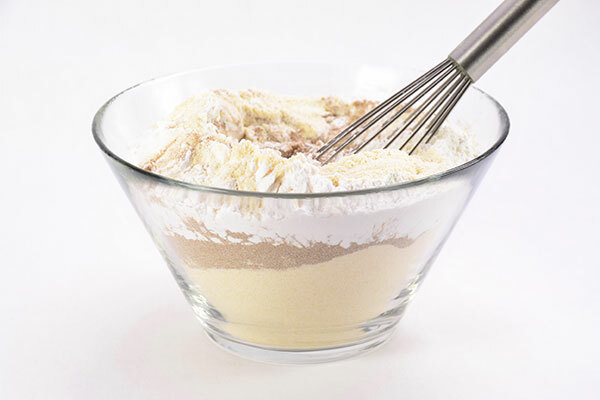 Make a small indentation in the flour with a spoon, and place the yeast there. Make sure that the yeast does not touch the liquid and salt. 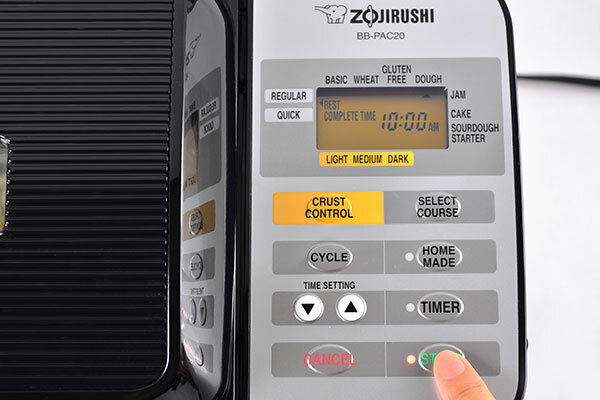 Place the baking pan in the Home Bakery, and set to REGULAR DOUGH course for BB-PAC20 model or BASIC DOUGH course for BB-CEC20 model, and press START. 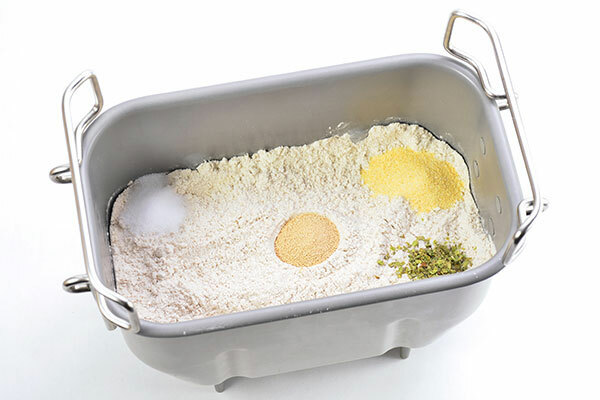 When the course completes, remove the dough from the baking pan onto a lightly floured surface. Cut the dough in half and form 2 smooth balls. Place wet paper towels over the balls and let rest for 30 minutes. 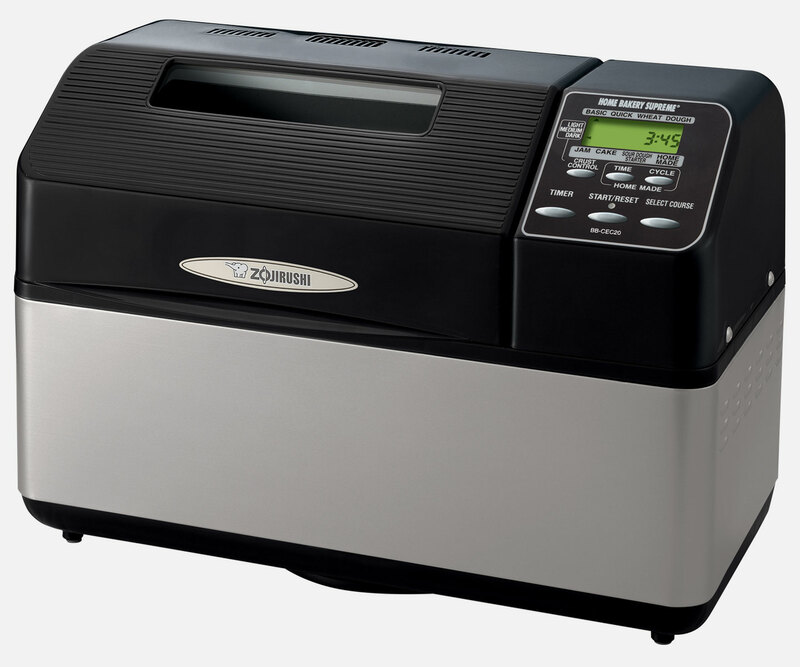 Preheat oven to 375°F. 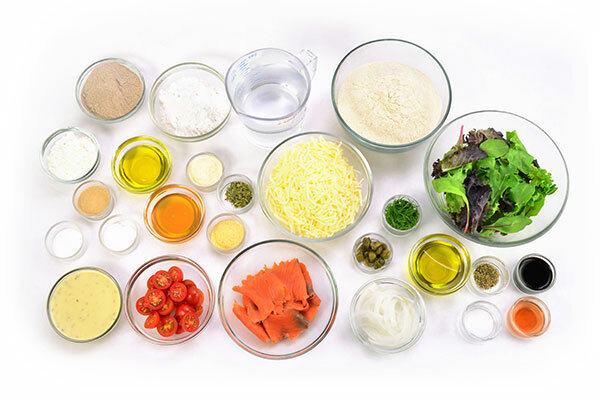 Place parchment paper over a pizza pan and grease with 1 tablespoon of olive oil (not listed in ingredients). 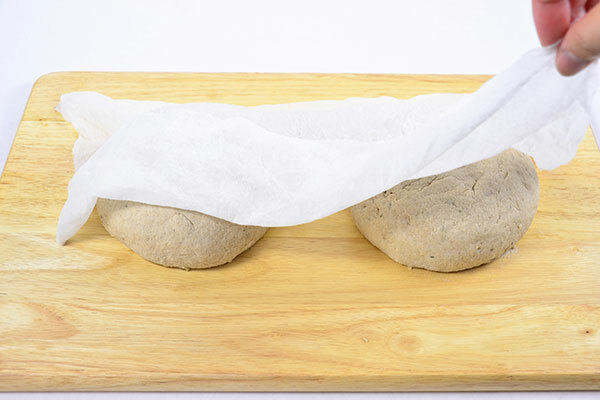 Wet your hands with water, take one of the dough and flatten to create a 10” circle with slightly raised edges. 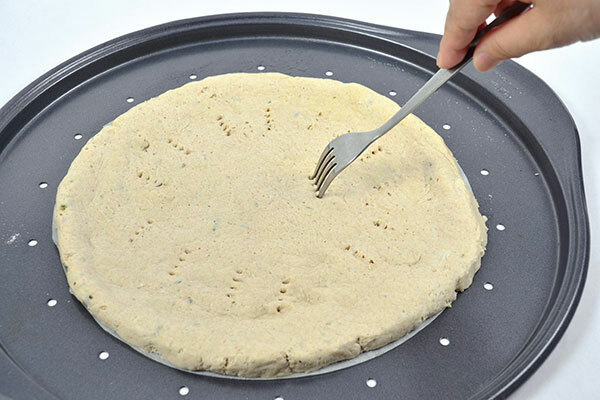 Use a fork and poke holes on the dough. 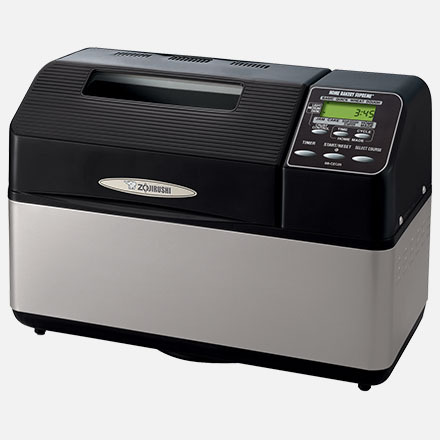 Bake in a preheated oven for 15 minutes. 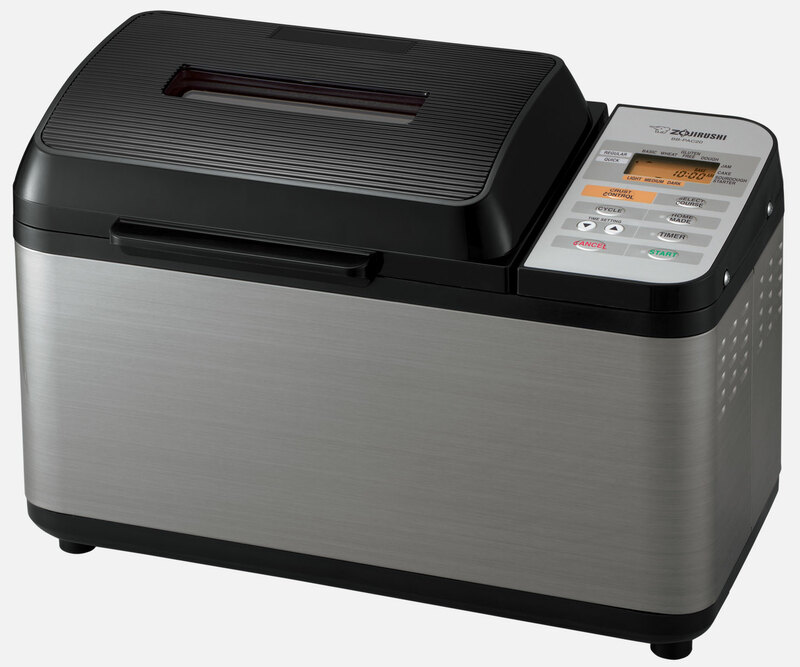 It is recommended to bake the second pizza within the same day to prevent the dough from over-proofing. While the pizza bakes, prepare the topping. 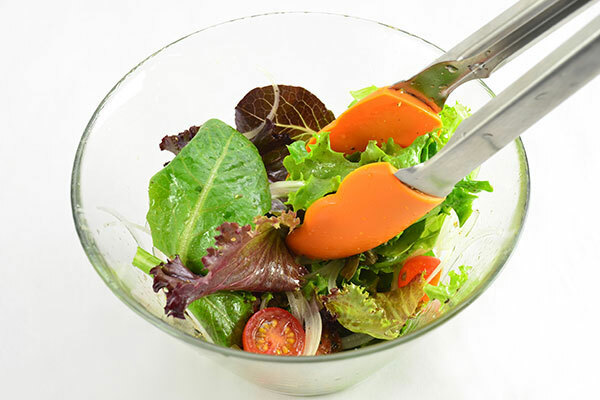 In a large bowl, mix all ingredients for balsamic vinaigrette. Add spring mix salad, tomatoes, onions and capers and toss well with dressing. 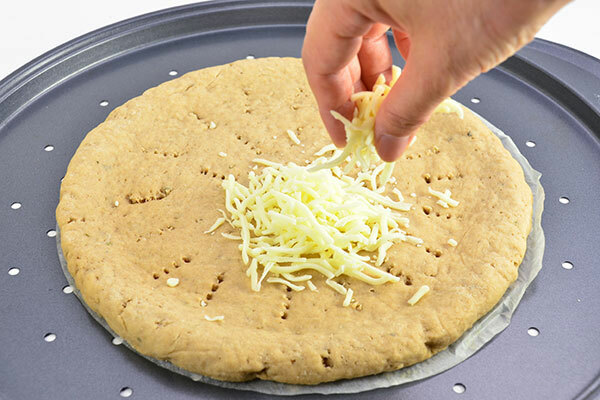 When crust is baked, sprinkle shredded mozzarella cheese evenly on top and bake for an additional 3 minutes or until cheese is melted. Remove crust from the pan onto a cutting board. 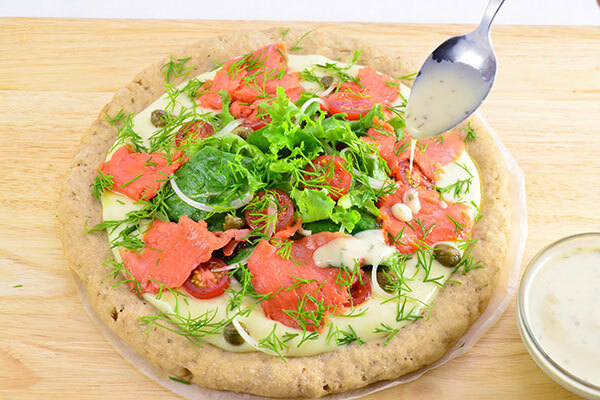 Place pre-mixed salad and top with sliced smoked salmon and dill. Drizzle ranch dressing. 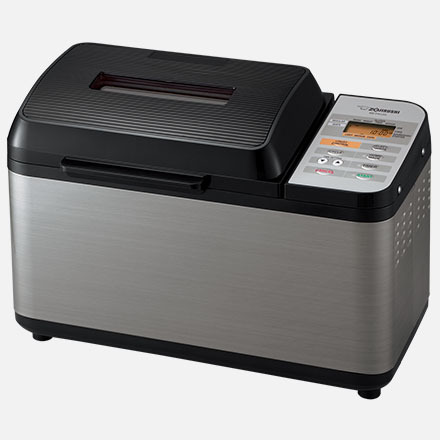 Slice and serve hot.